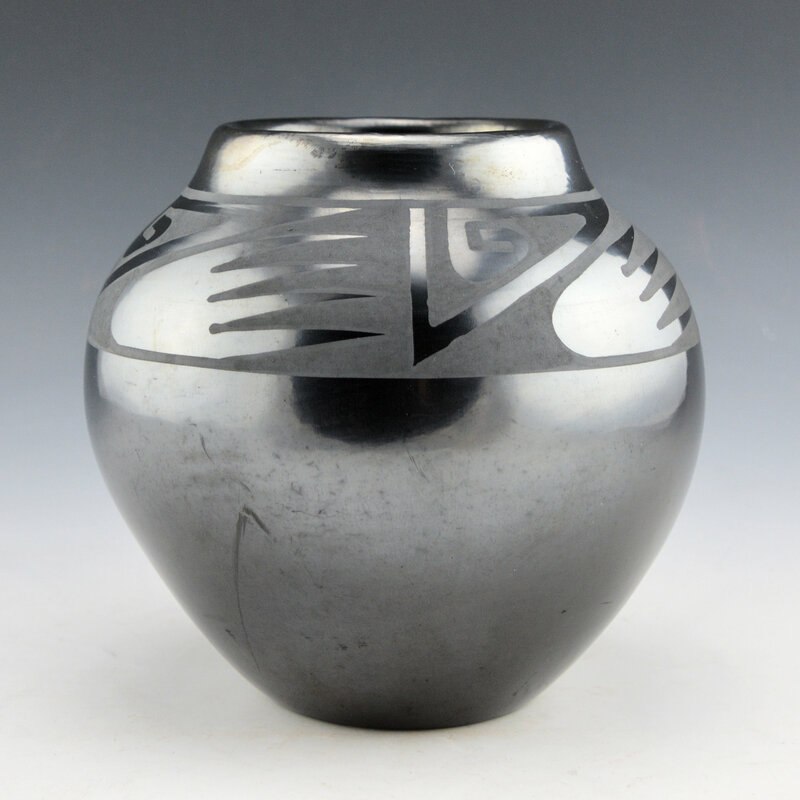 This is a short neck jar by Maria Martinez and her son, Popovi Da. 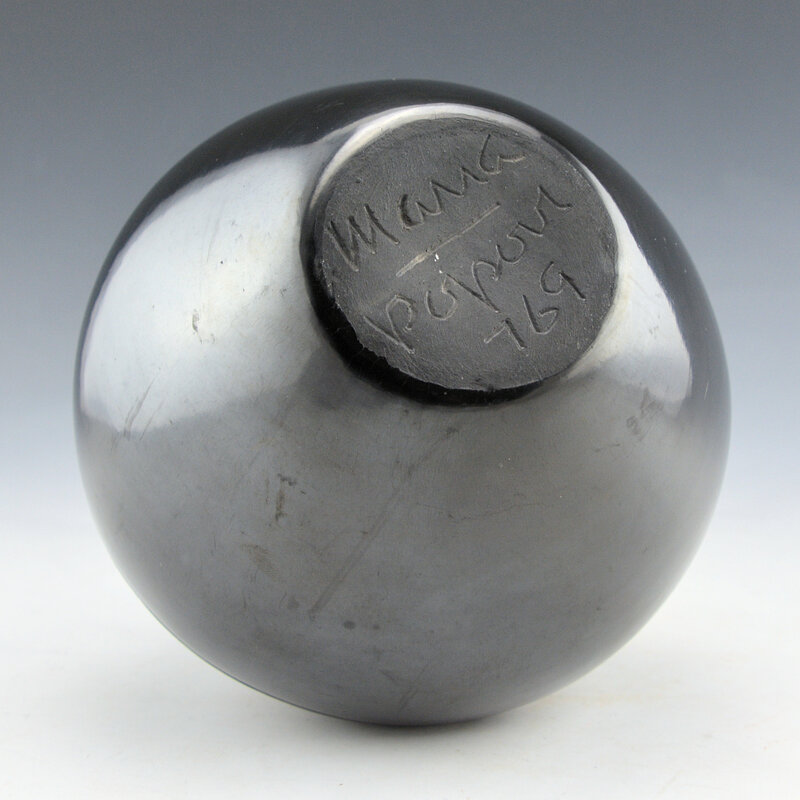 Maria made and polished the jar while it was painted by her son, Popovi Da (1923-1971). The jar is highly polished and has the classic cloud, wind and rain pattern which is painted around the shoulder. The shape is iconic for Maria with the high shoulder and short neck. While the painting and shape are beautiful, it is the firing which is striking. 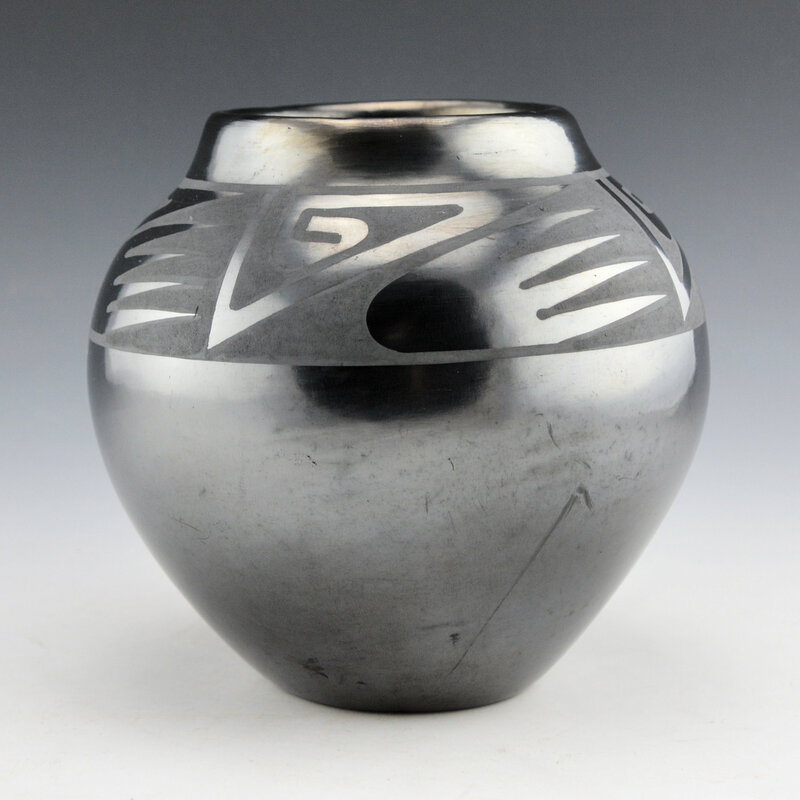 The jar has a very gunmetal in coloration to the surface with a very high shine. The jar is signed on thhttps://kinggalleries.com/maria-martinez-pottery-signatures/e bottom in the clay, “Maria Popovi 769“. The signature indicates that it was made around in July 1969. The jar is in excellent shape with no condition with no chips, cracks, restoration or repair.